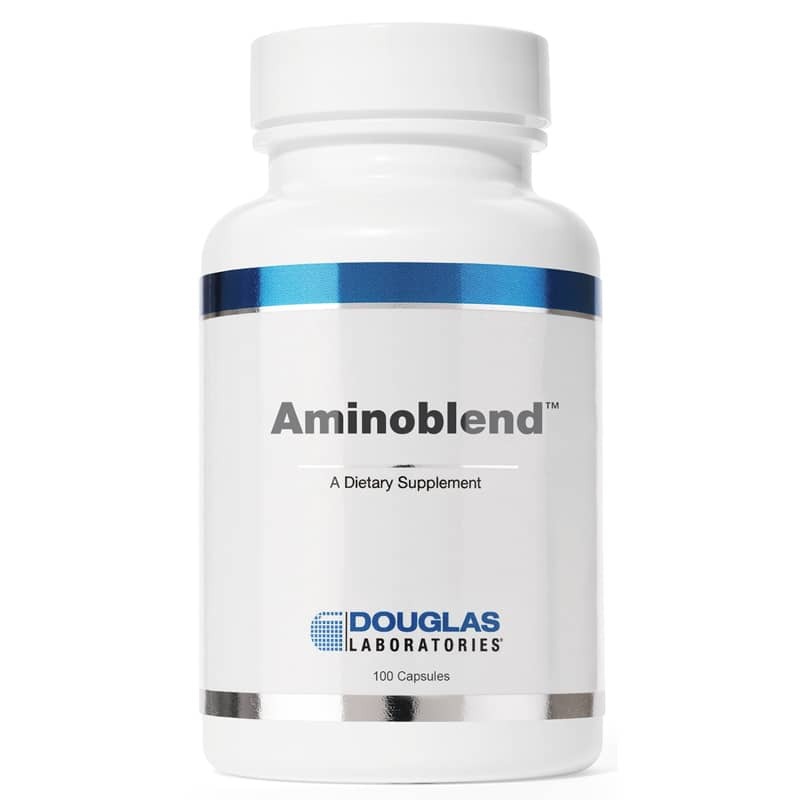 AminoBlend by Douglas Laboratories is a great amino acid supplement that contains amino acids for working out, for weight loss support, for muscle building support and other healthy benefits. Contains nutritionally balanced mixture of essential, conditionally essential, and important non-essential amino acids in their physiological L crystalline forms. Amino acids have many functions in the body. They are the building blocks for all body proteins: structural proteins that build muscle, connective tissues, bones and other structures, and functional proteins in the form of thousands of metabolically active enzymes. Amino acids provide the body with the nitrogen that is essential for growth and maintenance of all tissues and structures. Proteins and amino acids also serve as a source of energy, providing about 4 calories per gram. Aside from these general functions, individual amino acids also have specific functions in many aspects of human physiology and biochemistry. Amino acids serve as precursors for many nitrogenous substances. These include heme, purines, pyrimidines, hormones, and neurotransmitters, including biologically active peptides. In addition, many proteins contain amino acids that have been modified for a specific function, e.g., calcium binding or collagen cross-linking. In the fasting state, blood plasma contains all metabolically important amino acids in characteristic concentrations, and each amino acid is present in a defined ratio relative to the others. After a meal, the ratios of plasma amino acids change to reflect amino acid intake, but return later to their original levels. Normal plasma amino acid levels are extremely susceptible to physiological state and show considerable variability. The plasma amino acid profile impacts the entry of individual amino acids into the tissues. Of particular importance is the effect of the plasma amino acid profile on the uptake of amino acids into the brain across the blood-brain barrier. As a result, alterations in the plasma amino acid profile can lead to changes in the amino-acid dependent synthesis of neurotransmitters and other nitrogenous compounds in the brain. 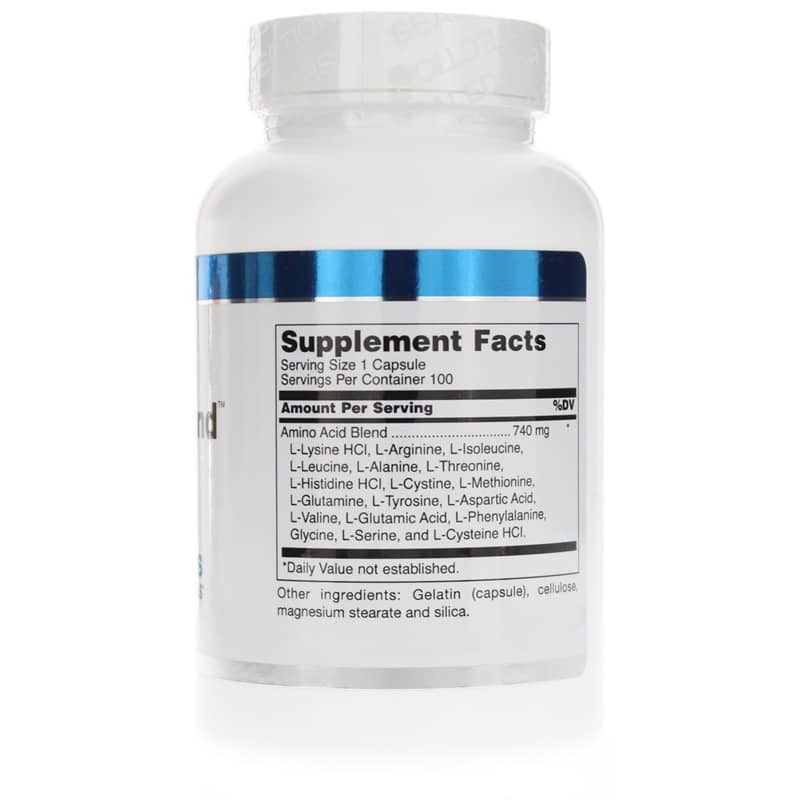 AminoBlend was formulated to provide optimal amounts of those dietary amino acids that are most important in balancing a physiological plasma amino acid profile. Contains NO: yeast, gluten, soy protein, milk/dairy, corn, sodium, sugar, starch, artificial coloring, preservatives or flavoring. Adults: As a dietary supplement, adults take 1 to 6 capsules daily or as recommended by a healthcare professional. It is recommended that this product be taken in conjunction with vitamins and minerals. Phenylketonurics: Contains Phenylketonurics. Do not use if you have phenylketonuria (PKU). 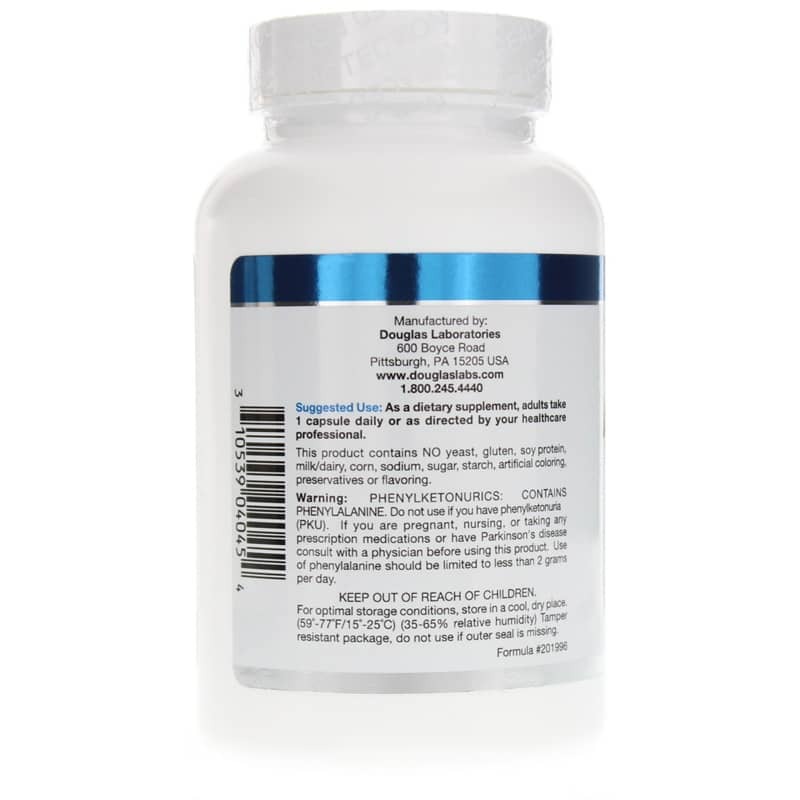 If you are pregnant, nursing, or taking any prescription medications, or have Parkinsons disease, consult your healthcare professional before using this product. Use of phenylalanine should be limited to less than 2 grams per day. Keep out of the reach of children.